AMCells Double Ended Shear Beam NTEP-SBS 1 kg for applications such as industrial floor scales, barrel scales, and low to medium capacity vessel weighing. AMCells Double Ended Shear Beam NTEP-SBS 10 kg for applications such as industrial floor scales, barrel scales, and low to medium capacity vessel weighing. AMCells Double Ended Shear Beam NTEP-SBS 2 kg for applications such as industrial floor scales, barrel scales, and low to medium capacity vessel weighing. AMCells Double Ended Shear Beam NTEP-SBS 500 lb for applications such as industrial floor scales, barrel scales, and low to medium capacity vessel weighing. AMCells Double Ended Shear Beam NTEP-SBS 750 lb for applications such as industrial floor scales, barrel scales, and low to medium capacity vessel weighing. AMCells Double Ended Shear Beam T103 100 kg made with tool steel for reliability. The through holes on the ends of these load cells are used for mounting. AMCells Double Ended Shear Beam T103 150 kg made with tool steel for reliability. The through holes on the ends of these load cells are used for mounting. AMCells Double Ended Shear Beam T103 20 kg made with tool steel for reliability. The through holes on the ends of these load cells are used for mounting. AMCells Double Ended Shear Beam T103 200 kg made with tool steel for reliability. The through holes on the ends of these load cells are used for mounting. AMCells Double Ended Shear Beam T103 30 kg made with tool steel for reliability. The through holes on the ends of these load cells are used for mounting. AMCells Double Ended Shear Beam T103 5 kg made with tool steel for reliability. The through holes on the ends of these load cells are used for mounting. AMCells Double Ended Shear Beam T103 50 kg made with tool steel for reliability. The through holes on the ends of these load cells are used for mounting. AMCells Double Ended Shear Beam T103 60 kg made with tool steel for reliability. The through holes on the ends of these load cells are used for mounting. AMCells Double Ended Shear Beam T103 65 kg made with tool steel for reliability. The through holes on the ends of these load cells are used for mounting. AMCells Double-Ended Beam Load Cell DSB 10 k are constructed with alloy steel and they find uses in medium and high capacity weighing applications. 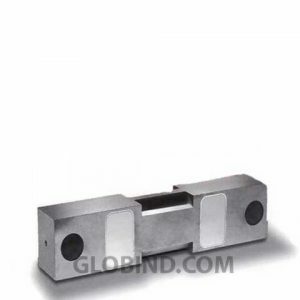 AMCells Double-Ended Beam Load Cell DSB 15 k are constructed with alloy steel and they find uses in medium and high capacity weighing applications. 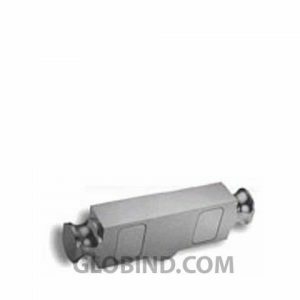 AMCells Double-Ended Beam Load Cell DSB 2 k are constructed with alloy steel and they find uses in medium and high capacity weighing applications. 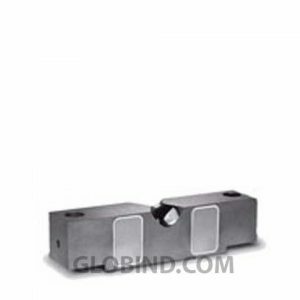 AMCells Double-Ended Beam Load Cell DSB 2,5 k are constructed with alloy steel and they find uses in medium and high capacity weighing applications.